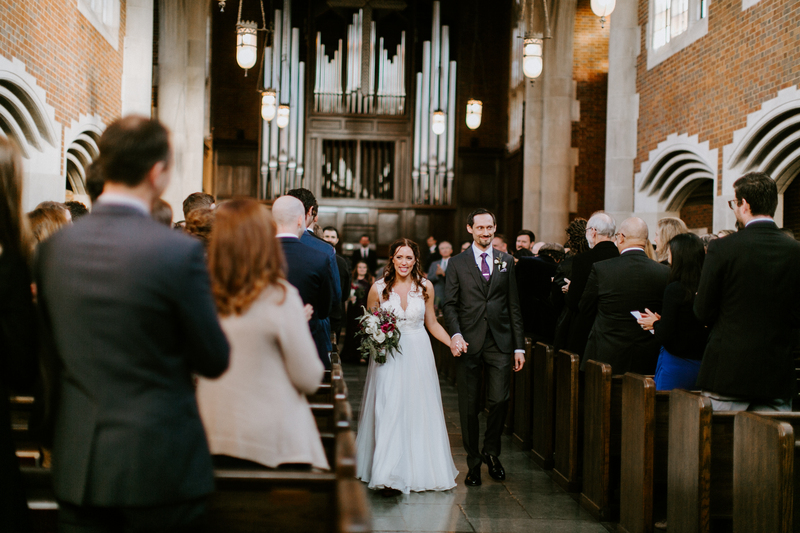 A repeat winner of the Toast of Nashville’s “Best Places to Get Married” and The Knot’s “Best of Weddings,” Scarritt Bennett Center’s historic campus is among the most picturesque in the city. Our on-site catering services make event planning easy with customized gourmet menus and delicious artisan-quality offerings. Whatever form your dream wedding or special event takes, whether you envision the event on a small or sweeping scale or with a classy, historic or rustic feel, the venues at Scarritt Bennett Center will bring your vision to life. For more intimate gatherings, Scarritt Bennett Center’s Skinner Chapel is a cozy, private venue for inspiring ceremonies on a smaller scale. With seating for up to 20 guests, Skinner Chapel’s stained glass and original woodwork provide a sentimental, nostalgic feel for a unique, highly personal gathering. 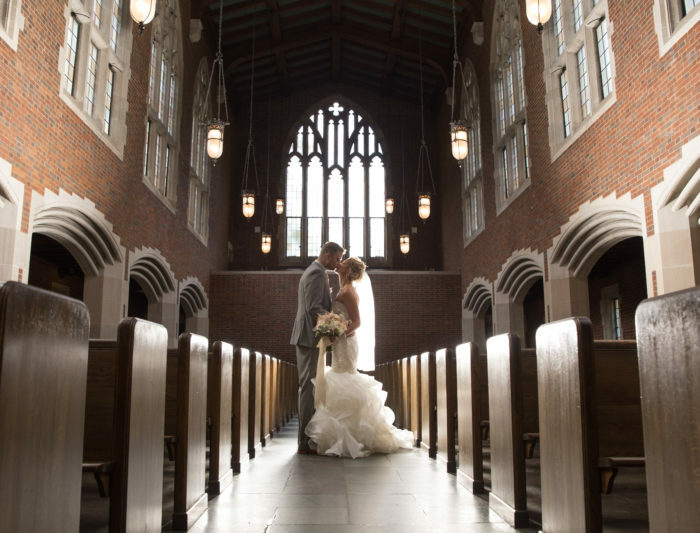 Our most popular wedding venue, with its sweeping gothic architecture, stained glass windows, organ and expansive altar, Wightman Chapel provides a dramatic context for a sophisticated, upscale event. Wightman Chapel can accommodate up to 300 seated guests. Before the big day, wedding parties need a place to get dressed. 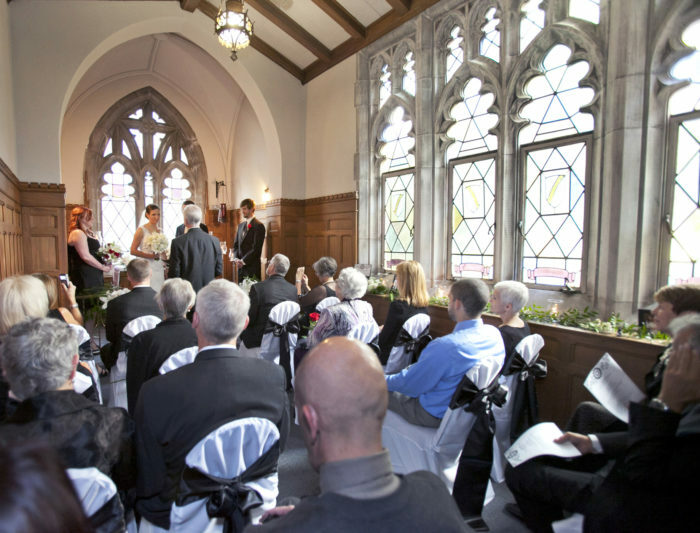 Couples who book Wightman Chapel have the option to get ready at Scarritt Bennett in the Social Rooms in Bennett Hall, which is the building just next to Wightman Chapel. This space can also be booked separately for a cocktail hour or reception after the wedding. For those who prefer an outdoor ceremony, our beautifully landscaped grounds pocketed among the sweeping facades of the center’s historic architecture create a lively, picturesque setting for those who are seeking a lush natural context. Weddings involve much more than just the ceremonies, however, and Scarritt Bennett Center has a variety of venues to provide the perfect ambience for all of the pre-ceremony festivities. Interested in having your wedding or next event at the Scarritt Bennett Center? Request information here and we will get back to you as soon as we can.